Most Chicagoans have an identical story when they’re asked about their first Malort shot. Their faces contort into a twisted mask of regret, rage, and confusion, and they’ll begin telling you about a person they thought was their friend buying a round of shots for the table at some dive bar. They’ll mention how this “friend” placed a glass full of a yellowish liquid in front of them, and how, trusting this person, they took the shot with the group. Immediately their tone will change. The story will quickly become one of betrayal, of man’s inhumanity to man, as the storyteller questions how a person could torture somebody else with a shot of this bitter, horrible spirit and then take a picture of their face afterwards, uploading it to Instagram with the hashtag #malortfaces. Malort is a part of life here in Chicago, so for those who are unaware of what this mercurial spirit is, well, you’re probably not from here. Malort is at once both Chicago’s red-headed stepchild and its prodigal son; it is a spirit we cannot help but love and hate at the same time. Pounding a shot of Malort is a rite of passage in Chicago -- a baptism by bitterface -- and in recent years, the spirit has rocketed in popularity. The spirit’s resurgence is peculiar for many reasons, many of which can be materialized in the reactions you get when you ask people if they enjoy Malort. Cocked eyebrows, derisive laughs, faces that silently scream, “you’re kidding, right?,” they all support the notion that nobody really enjoys the spirit as much as we just like having it around. Pounding a shot of Malort is a rite of passage in Chicago -- a baptism by bitterface -- and in recent years, the spirit has rocketed in popularity. 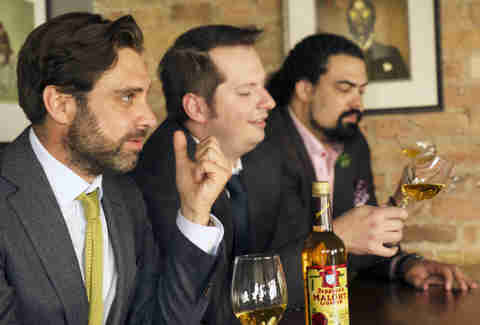 Malort has been famously described by John Hodgman as tasting like pencil shavings and heartbreak. A former roommate of mine thinks the flavor is more akin to a grapefruit doing a burnout on your tongue, a pleasant mix of citrusy bitterness and the iconic taste of old tires. Others have described tasting notes of drywall, rotten oranges, motor oil, or embalming fluid. So how is it that there’s a growing, insatiable demand for this stuff? Perhaps, to understand the spirit’s appeal in the present, we have to pull a Doc Brown and try to understand its appeal in the past. Unfortunately, we don’t own a flux capacitor (or even a DeLorean), so we had to settle for a history lesson courtesy of Sam Mechling. Mechling works for the Carl Jeppson Company, the only company to make Malort in the USA. He explained that while most Americans view Malort as the unofficial spirit of Chicago, the origins of the death liquor lie overseas. 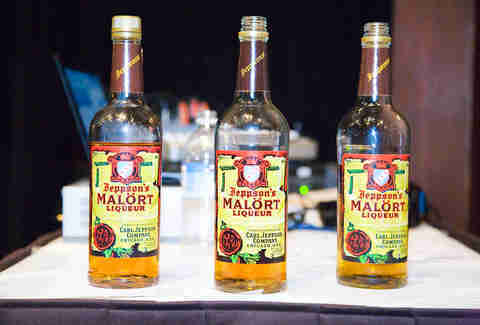 Malort was originally a Swedish product, a liquor distilled from wormwood not unlike absinthe. Spirits like this were believed to have certain medicinal properties ranging from settling one’s stomach to killing tapeworms (which was all the rage across the Atlantic). Carl Jeppson brought the spirit with him when he emigrated to Chicago in 1882, making the product a hit among the immigrant communities who longed for a taste of home and demanded more. Exploiting a loophole proved vital to Malort’s growth as the spirit’s medicinal properties and bitter flavors were enough to fool Prohibition inspectors into thinking it was solely a medicinal drink rather than a recreational spirit. This meant that as other distilleries were being raided and shut down, Malort was generally still readily available throughout the 1920s and beyond. Despite its bitter, punchy flavor -- or perhaps, in part, because of it -- Malort became intertwined with Chicago’s history during the Prohibition Era and it has been a part of the city’s culture ever since. Over time, folks that first tried the stuff as a rite-of-passage drink came back to it and began to appreciate the complexities of the spirit’s bitter flavor that are not apparent the first time you take a sip, when your tongue actively tries to eject from your mouth. 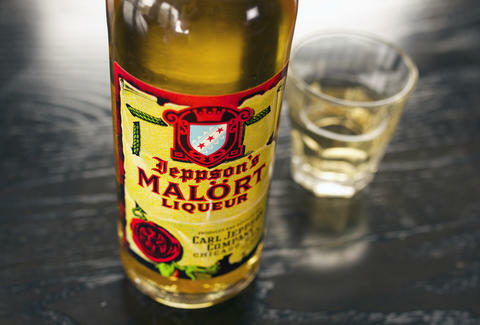 “On a pure sensory level, a drink of Malort is a ferocious, multi-tiered experience. It begins with a delicate honey note, but once it hits the back of the tongue, its flavor rapidly changes to a grassy, almost dandelion level-of-dryness. Malort ‘s world-famous finish however, builds more slowly, beginning at around five seconds in with a jarring bitter grapefruit rind that gives way to a seemingly endless medicinal astringency. The entire experience can take up to 15 minutes from start to finish and it must be done firsthand to be appreciated. He also notes that this generation has a surprising interest in history and tradition even as it looks forward. Old cars, vinyl records, and Burt Reynolds mustaches are all back in fashion, and with them, a burning desire to “pursue the cheap thrills [our parents] longingly warned us about.” Mechling notes that a shot of Malort is often one of those thrills. What if we were to tell you that other distilleries are starting to produce their own versions of Malort? You’d throw your phone/computer into a dumpster and go join a convent? OK, well unfortunately for you and your electronics, over the past few years many Swedish and Scandinavian wormwood-distilled spirits have gained a massive amount of popularity as people learn to appreciate a bit of bitterness in their lives. These spirits are collectively called bäsk (or bësk) liquors, from the Swedish word for bitter, and they’re all slightly different. This demand has caused a myriad of craft distilleries to try their hand at making a bësk worthy of Chicago’s demanding palate. Many of these distilleries are in fact local to Chicago, and are happy to add to the pain and suffering of Chicago drinkers. Evanston’s FEW Distillery has been making a bësk called Anguish and Regret for a few years now, a spirit that offers much of the bitterness that the category is known for, albeit with an added craft flair. When we asked FEW’s Paul Hletko why -- why god, why -- FEW would make something like this, he shared the inspiration behind the spirit with us, and it was one that really resonated. "We've had Anguish and Regret for a while, and launched a product with that name a couple years ago," says Hletko. "We were inspired by the love of the odd and creative, and the passion that Chicago has for such beverages. Also, we remember that girl that broke our heart sophomore year, and the taste of the tears, and felt we could make a drink to mimic that emotion. We intended to only release a limited batch of it, but demand is such that we've now launched in several more states, and even England. People are really connecting with Anguish and Regret, as if it were something they were already feeling." When we asked him to describe the taste of Anguish and Regret, he responded that it “delivers all the flavor of going home in someone else's broken high heels and torn sweatpants, with a bit of the flavor of salty cheeks and runny mascara on the top note, and some dumpster runoff in the bottom. It finishes with a blast of sadness and a realization that you could have done much more with your life, and perhaps your high school guidance counselor was correct.” I’d personally add that that in addition to all the bitterness, there are pleasant herbal and lemony flavors to be found that lessen the punch a bit. FEW isn’t the only distillery making bësk either. Chicago’s Letherbee has their own recipe for the stuff, and for connoisseurs looking for a bit more licorice flavor, Bittermen’s Bäska Snaps is also easily found at Chicago liquor stores. These companies realize that there’s something essentially enjoyable about these bitter, hard-to-palate spirits, something beyond a desire to be hip or fashionable. Perhaps it’s a philosophical thing. Living in Chicago can be hard when the lake is frozen solid nine months out of the year. Coming together to enjoy, or at least to try to enjoy a truly Chicagoan spirit can be a beautiful, much needed reprieve from the cold. Because at the end of the day, these drinks are meant to be shared. Nobody in Chicago buys a shot of this stuff for themselves unless they’re buying another for a friend at the same time. And even though buying a shot of bësk for a friend isn’t the most generous thing in the world to do, it leads to a communal experience that is full of laughter and embarrassment. Chicago is a challenging city, to be sure, so perhaps it’s appropriate that the spirit we’re best known for is also a Mortal Kombat-style test of our might. It’s endlessly satisfying to be able to do a Malort shot with friends who have never tasted it before and be the only person in the group to keep a straight face. There’s a pride in it. 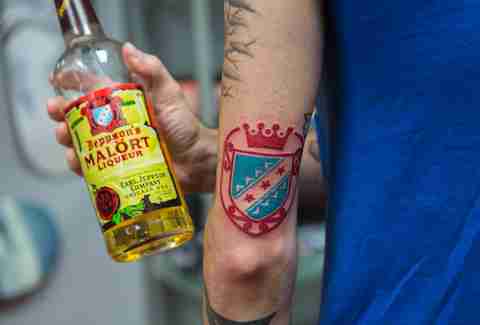 Which might explain why this guy got a tattoo of the Malort logo. Well, that, or he had one too many shots of the stuff. It’s not a coincidence that with Malort, as well as most bësks, the experience is similar. They’re unforgiving and intimidating at first, but, if you stick it out, you find sweetness, warmth, and complexity. So, perhaps, it’s no surprise that Malort and other bësks have found a foothold in Chicago, a place that is inhospitable most of the year and has many, many things wrong with it. Many move after their first Chicago winter, to warmer climes on the west coast, or to bigger cities on the east. More still move before that time, unable to keep up with a city that really isn’t the easiest place to live. But those that stick around, those that put in the effort to really get a taste for the place discover true beauty, complexity, and wonder. This metaphor goes deeper, but I’m sure you get the idea. So when Chicagoans say they hate Malort, that it’s terrible, quite possibly that it’s a sin against God, it’s a coded message. Sure, only a few of us actually like the stuff, that’s the point. Like Dante’s descent into hell, it is a trying experience, but one with a wonderful payoff at the end. In Chicago, we operate on a strict “no pain, no gain” philosophy and once you endure the trial that is Malort, you’ll really and truly be one of us. Malort is both a sin against God and it is actually kinda good. And unfortunately for Chicagoans who aren’t tough enough to enjoy the spirit, it can’t be one without the other. Sam Greszes is a Chicago-based writer who will buy you a shot of Malort whether you want one or not. Follow him @SamGreszeseses for scattered thoughts on cocktails, sports, and Sonic Adventure 2.